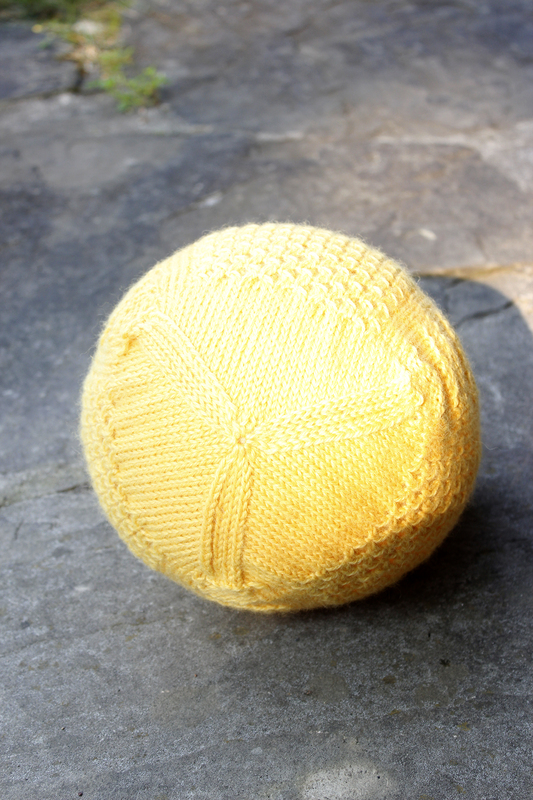 What weird thing is this you ask?�It’s the honeybee and honeycomb project�I’ve been working on�and nope, it’s not some kinda of covered ball or round cushion, it’s a HAT! So what�exactly is�going on here? I�read the other day that�a good way to block a hat is by drying it over a balloon. The honeybees really need to be blocked for the wings to show and make them recognisable as bees. I really like the way I decided to decrease the top of the hat. Final images should be coming soon – once the hat dries and I secure my model (she doesn’t have much choice since she’s my daughter).